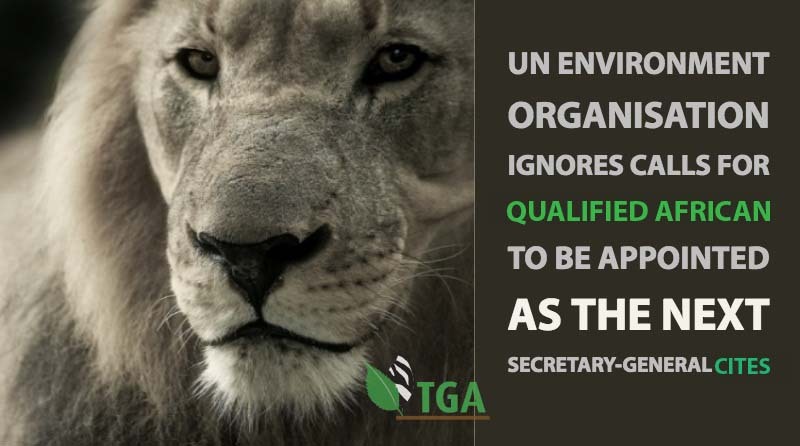 Have the growing worldwide calls for a qualified African to be appointed the next Secretary-General for the UN Convention on International Trade in Endangered Species of Fauna and Flora (CITES) been ignored? No one officially connected to the process has confirmed that it is high time for a well-qualified African to lead the organisation. The outgoing CITES Secretary-General, John Scanlon has clearly avoided confirming his support for an African candidate to succeed him when he vacates his position as the Secretary-General in April this year. Minister Muchinguri Kashiri said that the appointment of an African CITES Secretary General would be an opportune moment for Africa’s voice to be heard. Elsewhere, Scanlon said that CITES was not losing credibility. “In fact, both myself and the Secretariat have been praised by all Parties and by stakeholders coming from many different perspectives for the fair, balanced and neutral approach adopted by the Secretariat in dealing with highly contentious issues,” said Scanlon. Also, contrary to Scanlon’s view that he was doing praise-worthy work, he is being accused of having deliberately dismissed a call to stop the scandalous vote-buying within the CITES decision-making framework made at the November 2017 CITES 69th Standing Committee Meeting (SC69). The Code of Responsibility for NGOs was suggested as a possible solution to help stop the vote-buying. It was on the Agenda, but the SC refused to debate it as a result of the comment from the Representative from Israel who said, “I see no reason to fix something that isn’t broken.” Both the Chair and Scanlon were “dismissive” using legal arguments. They played the ostrich game. CITES talks a lot about corruption in a rather interesting way: briberies to customs officials, game wardens and park rangers is corruption; but briberies to senior officials and politicians is commitment to the environment. It is much easier to close one’s eyes on this type of corruption than tackle it! Despite having removed the issue of the CITES vote-buying from the November 2017 69TH CITES Standing Committee agenda as non-existent and not problematic, Mr Scanlon surprisingly admitted in an interview that he was aware of the vote-buying rumours in CITES. On the contrary, Zimbabwe’s Minister of Environment Oppah Muchinguri said that the Zimbabwean Government was aware of the ongoing vote-buying scandal within the CITES decision-making framework. Meanwhile, the South African Government represented by its Department of Environmental Affairs pointedly declined to comment on whether it supported the appointment of an African CITES Secretary-General. They also did not comment on whether or not they know about the ongoing vote-buying scandals within the CITES decision-making framework. “Emmanuel, you can indicate that there was no comment,” said the Chief Director Communications for the South African Government’s Department of Environmental Affairs, Mr Albi Modise. During CoP5 (Buenos Aires) the delegate from Papua New Guinea (Kwapena) bitterly complained about the behavior of an NGO, the Center for Environmental Education (CEE), that in several occasions, attempted to force him to vote CEE’s way because they had paid for his participation in the meeting. 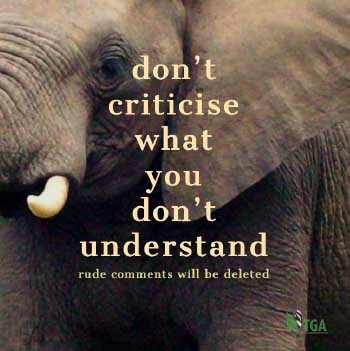 Mr. Kwapena reiterated his complaint in writing to CITES, prompting an intervention from the General Accounting Office. The outcome of this intervention was never disseminated. During the Standing Committee SC50 held in March 2004, the Chair (USA) reported on the result of his appeal to Parties and Observers to assist in the funding of the Sponsored Delegates Project (SDP) for CoP13 to be held in Bangkok, in October of the same year. There was a hilarious reaction from the participants when the Chair announced that an NGO, while responding to his appeal, mentioned that they could not contribute to the SDP as there was no guarantee that the delegate would vote in accordance with their principles and philosophy. The NGOs was later identified as the International Fund for Animal Welfare, IFAW. Nevertheless, Mr Thomson of the South Africa-based True Green Alliance said that he has often sent complaint letters to the Minister for the South Africa Department of Environmental Affairs about the ongoing vote-buying scandal within the CITES decision-making framework. He said that he has been sending the CITES Secretariat numerous reports on cases of this scandalous activity since 1987 but has never received any response. After CoP7 (Lausanne -Switzerland – 1989) Mr Thomson said that he met the same two African delegates who advised him, quite openly and very happily, that they had transacted the same deal with the same NGO that had proved to be, for them, so lucrative in Canada. And they introduced Mr Thomson to a third delegate who had joined their vote-selling-crew. This, too, he reported in writing to the CITES Secretariat. Again, he received no response. Mr Thomson said that in 1992 he stayed with his good friend, John Gottshawk, in Arlington Virginia, USA. Mr Gottshawk had then recently retired as the Director of the US Fish and Wildlife Service. It is against this background that calls for an African CITES Secretary-General continue to increase with the hope that she or he would be more sympathetic to the sustainable use of wildlife.